A Contemporary steam bent back meets a broad top rail in our Dorothy Bar Height Chair which is perfect for kitchen counter or solid wood pub table. 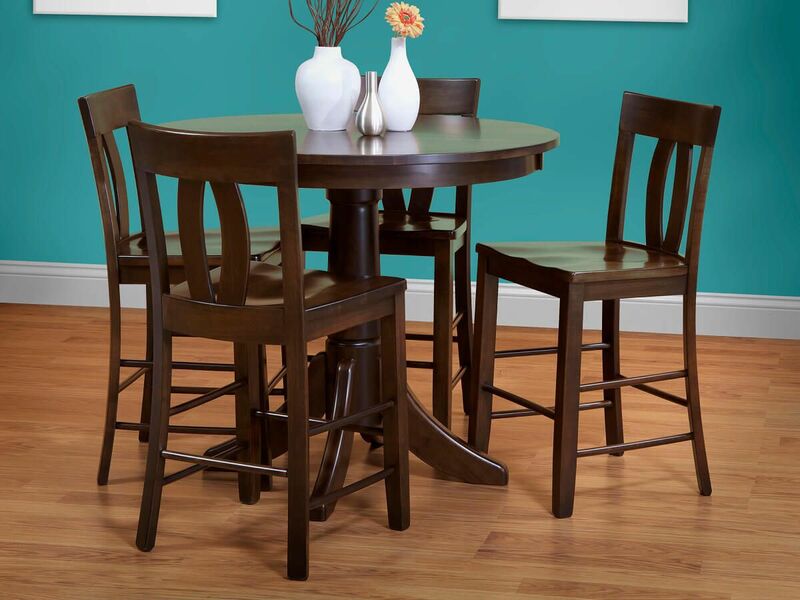 Pictured in Brown Maple with our Devonshire stain, your Dorothy Bar Height Stool is dramatic and modern. Choose Quartersawn White Oak and a light stain, and this handcrafted pub stool fits perfectly in a modern Mission motif. Make your selections from our options menu and our Amish artisans will craft the perfect companion to your bistro table. 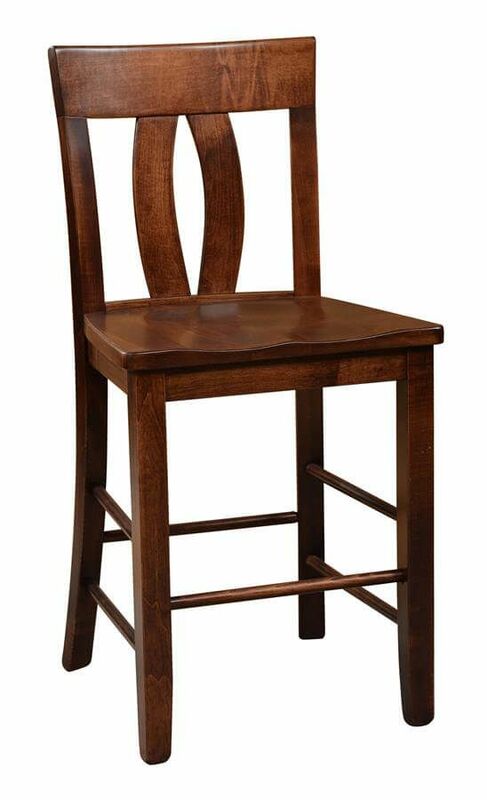 Countryside will deliver your Amish made Dorothy Bar Height Stool right to your home or place of business. Design your one of a kind bar chair by completing our online Create Your Piece menu. View instructions on how to select your fabric. View samples of leathers available. View samples of ultrafabrics® available.